*Based on Confused.com data in December 2018, customers could save up to £563.53. This is when compared with the average of the top five cheapest quotes with the average selected price. "Very easy and quick to do, found very good prices." 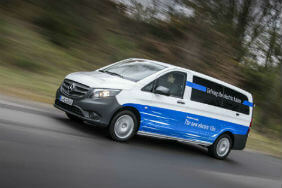 We compare over 50 trusted van insurers to save you money. What should I know about commercial van insurance? Vans are often at a greater risk of theft (due to their contents and scrap value) and collisions (due to generally covering more miles) than regular vehicles, so it’s important to get the right policy in place to protect them, especially if your van is essential to your business. If your vehicle is used in connection with anything that involves payment or income, it may not be covered under a standard insurance policy. Ensure you select the commercial van insurance policy that suits your needs the best, taking into consideration things like driving to several places of work, transportation of work related goods and materials and sales trips. Finding the right level of cover will not only keep your commercial vehicle legal, but could also protect you and your business from unnecessary loss following theft or damage to your van. Why compare business van insurance quotes through Confused.com? 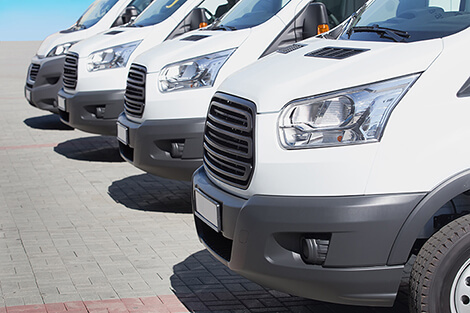 If you use your van on a daily basis in connection with your business, the last thing you need is the added expense of a hefty commercial van insurance policy. Confused.com can search a range of providers in minutes and find our best policy for you and your business, at our best price. We can also help you find great deals on small business insurance, giving you the peace of mind of knowing that both your business and van are protected. Fast results, very competitive prices... process made a pleasure.